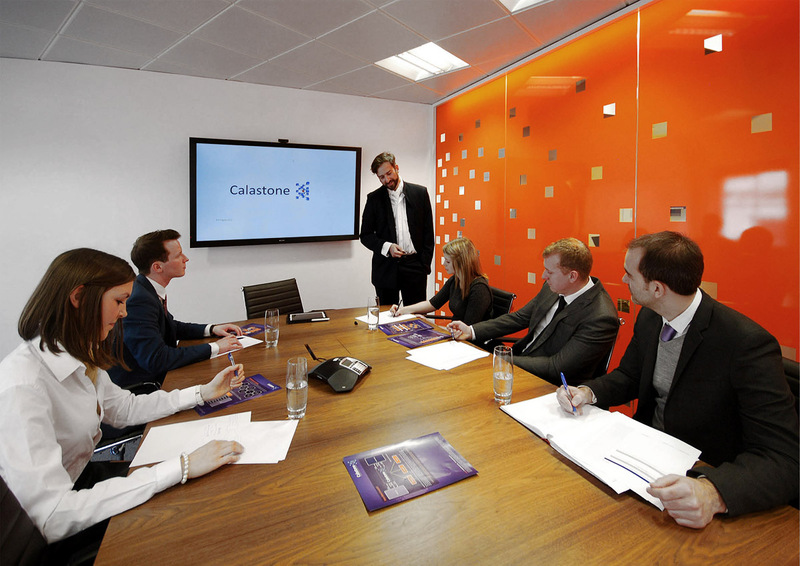 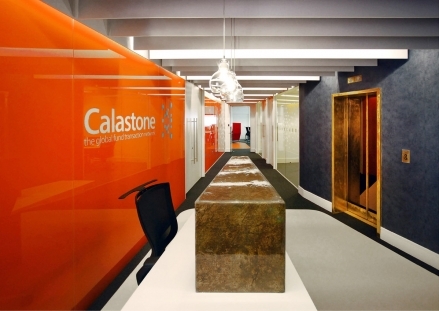 After winning first prize in an invited competition to develop the architectural branding for Calastone, ÜberRaum were invited to design and build the fit-out for their new ‘Think Tank’ office in London’s Bank district. 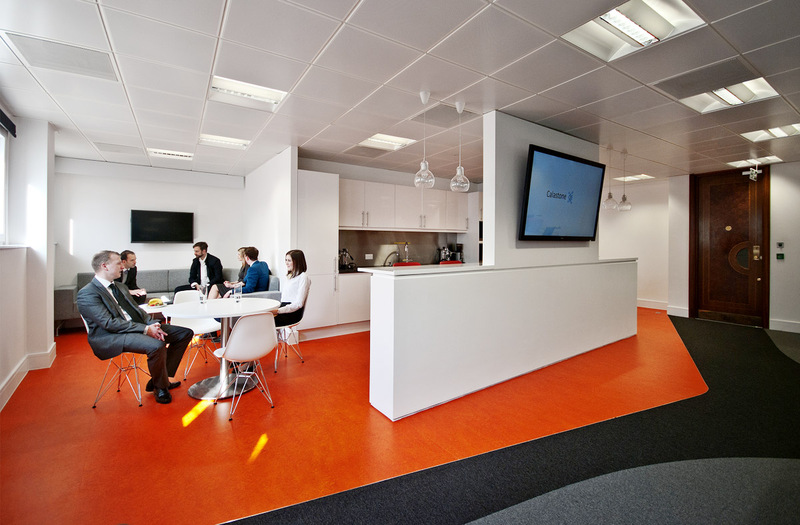 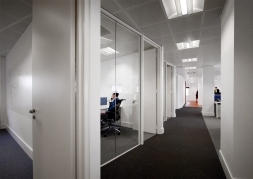 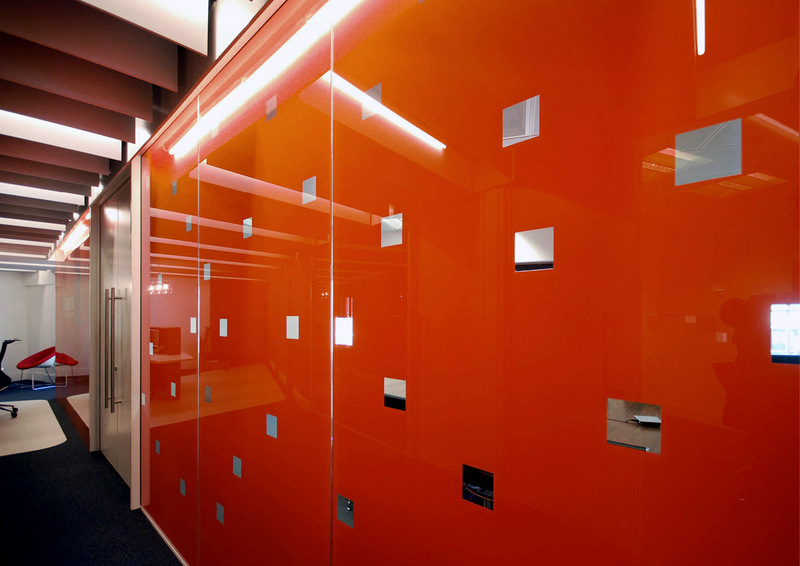 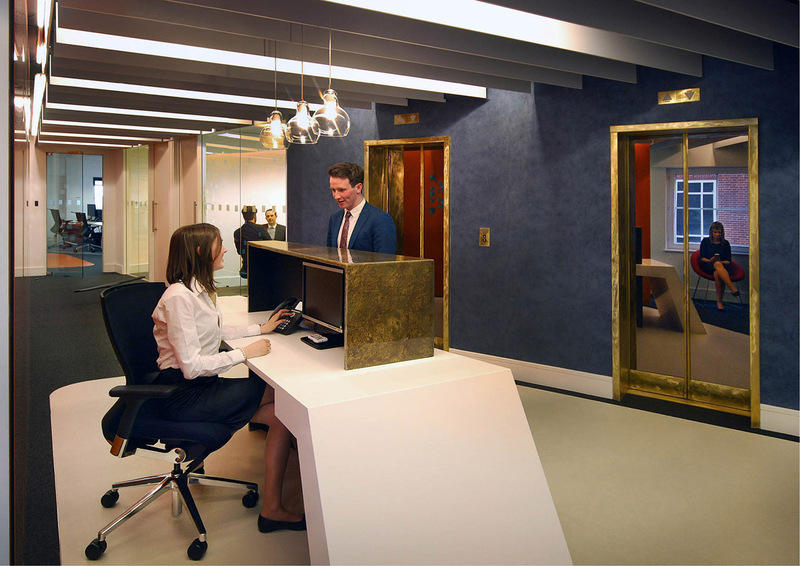 The project was completed within a tight timescale of only 4 months from conception to completion, for the new London Headquarters of the global fund transaction network. 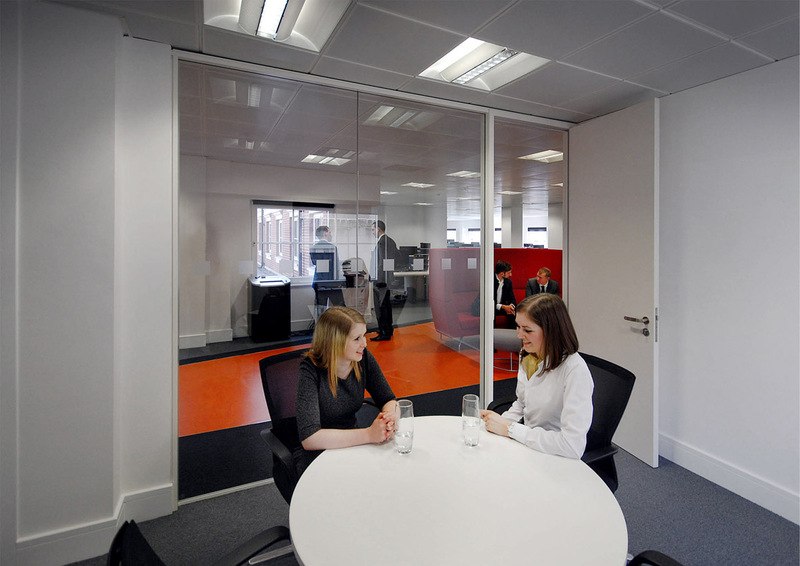 Our design is based on the concept of open communication. Developing of ideas and brainstorming is encouraged through the introduction of communication hubs: platforms of exchange, which enable free-flowing interaction amongst the 150 employees that will use this new state-of-the-art office. 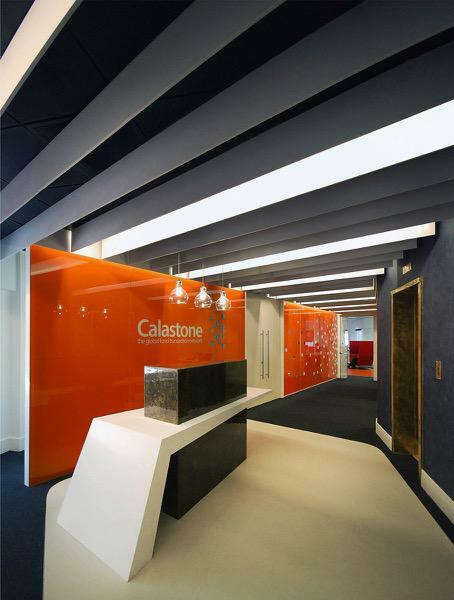 The bold textural scheme of charcoal and white with hints of fiery ochre, resonate with the Calastone identity and the energetic pace of this global company.